Too Big to Fail – Why All the Talk about a ‘No Deal’ Brexit? As Brexit negotiations between the UK and the EU move towards an endgame series of summits among the leaders of the EU27, little new has emerged about whether Prime Minister May’s ‘Chequers Plan’ – or a variation of it – will be acceptable to the EU. Although reports were circulating that the EU’s Chief Negotiator, Michel Barnier, had described the plan as ‘dead’, European Commission President Jean-Claude Juncker – in his annual State of the Union speech– appeared to offer some hope to the UK that an ‘ambitious new partnership’ could be forged on the basis of a free trade agreement as envisaged in the Chequers Plan. Nonetheless, he also warned that a state that left the EU and its Single Market could not enjoy the same privileges as an EU Member State. Prime Minister May also knows that even if her Government can reach an agreement with the EU, there is no guarantee that MPs will endorse it. Noticeably, the UK Government has been talking up its arrangements for a ‘No Deal’ Brexit. In August, the Brexit Secretary Dominic Raab outlined the UK’s preparations for a disorderly departure from the EU. 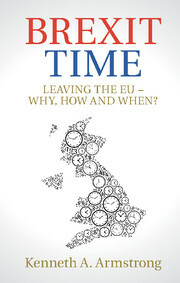 An initial series of technical papers were issued by his Department, indicating the likely effects of leaving the EU without a legal framework to govern future trade and cooperation between the UK and the EU. With 80% of the Withdrawal Agreement in place – including settlements of the UK’s financial liabilities – Raab noted that the scenarios identified were not what the Government expected or wanted, and instead presented the publications of the papers as a government planning ‘for every eventuality’. With the UK publishing a further round of No Deal technical papers on 13 September, the volume of No Deal chatter seems to have gone up considerably. The Prime Minister even hosted a special meeting of the Cabinet apparently to discuss contingency planning should the UK leave the EU without a deal. The Governor of the Bank of England, Mark Carney, also attended for part of the meeting and was reported to have told the Cabinet that a major property market crash would be a likely outcome of a No Deal Brexit. Meanwhile the Brexit Secretary amplified remarks he made earlier in that week that ‘nothing is agreed until everything is agreed’ and that included the settlement of the UK’s financial liabilities as agreed in the first phase of Brexit talks. While repeating that the UK would honour its obligations, Raab made clear that should a No Deal Brexit occur, the agreement reached at the end of 2017 would lapse. At her weekly Prime Minister’s Questions session in the Commons, Theresa May had similarly noted that in respect of the accepted so-called ‘Divorce Bill’, in the event of a No Deal Brexit, ‘the position changes’. To be clear, the Government accepts it has financial liabilities and it is not suggesting it will not meet those liabilities. Nonetheless, the threat to take that settlement off the table is a further instance of the consequences of a No Deal Breit. All this talking up of a No Deal Brexit appears aimed at a range of audiences. The technical papers are supposed to give guidance to stakeholders about how the Government intends to implement regulatory arrangements governing goods like medicines and services like mobile phone use and data roaming. Yet much of this guidance does not get beyond telling businesses that the UK will legislate to allow EU-based manufacturers and service-providers to continue to access the UK while leaving enormous uncertainty as to what degree of reciprocal arrangements – if any – UK companies will experience in 27 other countries. The same goes for citizens’ rights after Brexit. If the deal done on those rights in 2017 disappears, the UK could legislate to replicate the terms of the deal for citizens of the EU27: a point that Raab has also made in interviews. But again, this does nothing to provide reassurance for UK nationals resident in any of the EU27 Member States with the potential for those states to take divergent approaches, subject to any common EU legislative rules. Given that real certainty and clarity can only come from a Withdrawal Agreement that includes a clear transitional framework, and from some sense of what the future relationship between the UK and EU will entail, the No Deal chatter is really aimed at different political audiences. In seeking to sell her plan to the public, discussion of a No Deal Brexit helps to prepare people for the reality that things will be different outside of the EU. For those ideologically committed to Brexit, the risks and downsides of EU withdrawal have often been dismissed as ‘Project Fear’: the Brexiteer equivalent of ‘Fake News’. The release of technical papers describing some of the potential fall-out from life outside the EU, allows the PM to worry the public just enough to make her plan seem like a less bad outcome. At a domestic political level, talking up the risk of a No Deal Brexit is no doubt an attempt by Prime Minister May to focus the minds of MPs – as well as members of her own Cabinet – that her Chequers Plan is the only basis for an orderly exit from the EU. In her Panorama television interview, Mrs May repeated that the choice was between a deal based on the Chequers Plan or a No Deal departure from the EU. Were her own MPs and colleagues to reject a deal negotiated by her and to remove her as PM, the risk of falling out the EU without a deal increases. Avoiding that eventuality also means keeping her in No 10. The PM is using her own weakness and the threat of the UK crashing out of the EU to garner political traction for her Chequers Plan and to keep her in office (for the time being). But another audience for all of this is the leaders of the EU27. The UK has been asking Barnier and his team to show flexibility and not to stick to the models of how they have done deals in the past. Raising the threat of a No Deal Brexit may be intended to appeal directly to the EU leaders to redefine or reinterpret the negotiation mandate of the European Commission to allow for talks to reach a positive conclusion. An upcoming informal summit of those leaders may be an opportunity to do just that although it is not clear that the Member States would actually change the mandate rather than clarify the EU’s endgame position. Again, it is the weakness of the UK that turns out to be its strength. Like a major bank during the financial crisis, the Brexit talks are too big to fail and the UK is probably pinning its hope on the EU27 to avert a failure given the terrible consequences of failure. We do need to keep in mind that the current talks cannot and will not define the future relationship between the UK and the EU; it can only settle the ‘framework’ for that relationship. And so there is always the potential to kick the can down the road by agreeing a thinner rather than a thicker version of that framework. Indeed, the value of Sterling recently rose on the back of a Bloomberg report that Germany might accept a more minimal framework agreement. Paradoxically, then, the current preoccupation with a No Deal Brexit is an indicator that some serious political thought is now being given to how to ensure that the Brexit endgame produces a Withdrawal Agreement. It is the political and economic consequences of failure that is driving the parties towards an agreement. The question is whether the concept of ‘too big to fail’ will be enough to ensure that any political agreement reached will also be endorsed either by MPs or by the public should a ‘People’s Vote’ transpire. Previous Previous post: Brexit’s Bitter Pill – How Significant Was the Government’s Defeat on the Trade Bill Amendment?